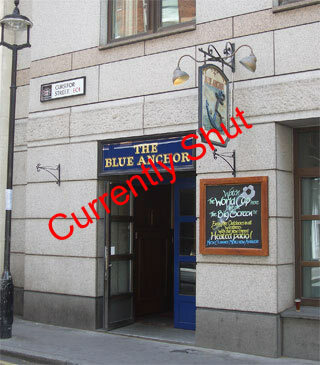 Tucked away off Chancery Lane you will find The Blue Anchor. You will seldom find anything other than City workers here, on the odd occasion you may see a tourist but very rarely, not that there are many tourist to be found in the City, although The Blue Anchor does there best with a sign point the way. With a small upstairs bar with some seating outside for the warmer months and a good sized downstair, this is a pretty decent pub. The Pride is reasonible and the layout and feel of this pub is enjoyable.